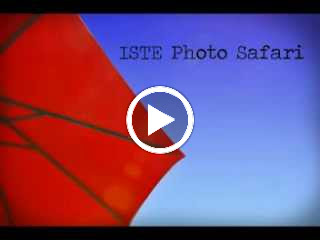 Share you tips and experience using DSLR video in the classroom. I am interested in learning how others are using DSLR video in the classroom. Although its not something I currently do at my school, if you don't already create one you could have your kids work on a year long project that creates a video yearbook. Kind of like a school year highlight video. Vimeo has a great channel for learning to film with DSLR. I've looked at some of the films with my students. There are also great short films and many good behind the sceenes videos that will help students along. As mentioned go for an external mike. Lighting is expensive, a reflector per camera is a really good investment. Building spotlights with a dimmer are much cheaper than "standard" gear. Use a tripod where you can. from a 99p store with great results. you will have a lot of hiss and noise to contend with. they are great for interview / vox pop situations as well as computer for voice over/ narration work. Enjoy and see if it works for you. My best advice is to not shoot everything in 1080p. It requires more storage on the computer, more processing during all aspects of post, and is overkill for most student projects. 720p is fine. If you have the processing power, go for it. But, most schools and most students don't have access to the right boxes and just get frustrated through out the process. Great suggestion. That is what I had to do until we upgraded to 64bit and some more RAM. Great point. How are others dealing with Audio? I am using a Zoom H4N audio recorder and then merging the video and audio in post.